Suite logique du premier du nom ? Pas vraiment une suite en fait, plutôt une version améliorée prévue en...work in progress. Ce qui est certain, c'est que ce Rpg restera un jeu de combats hautement tactiques au tour par tour et que les quêtes n'auront qu'une valeur symbolique. L'IA devrait être supérieure à celle de KoTC, ce qui n'est pas peu dire. Yellow arrow = the arrow that shows which character is acting (taking his turn)"
Une IA encore améliorée ? Grand Dieu. Même avec les explications je ne me fais toujours pas au psychédélisme pink fantasy boulder dashien. Merci pour le thread Dalth, Inanna te le rendra. merci pour l'ouverture du champs. Finally, a word about the initiative order of magic effects. 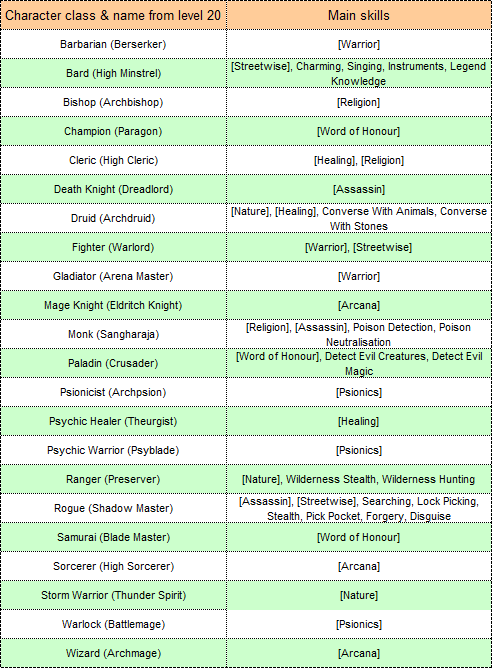 The D&D 3.5 system is quite complicated if you think about it. Whenever an effect is applied on someone, you need to keep track of its elapsed duration from the moment it was applied, so that you will know when the effect has expired and must be removed. KotC 1 did not really bother about this. Effects on a character had a number of rounds and this number was reduced whenever the character took his turn. This is simpler but it does mean that an effect could be over very quickly if the character took his turn soon after receiving the effect, or the effect could last longer if the character took his turn long after receiving the effect. So in KotC 2, we now try to get closer to the original rules. Each effect has its own initiative order and the remaining number of rounds is reduced only when the order in the initiative is reached. It's fairer but more complicated. 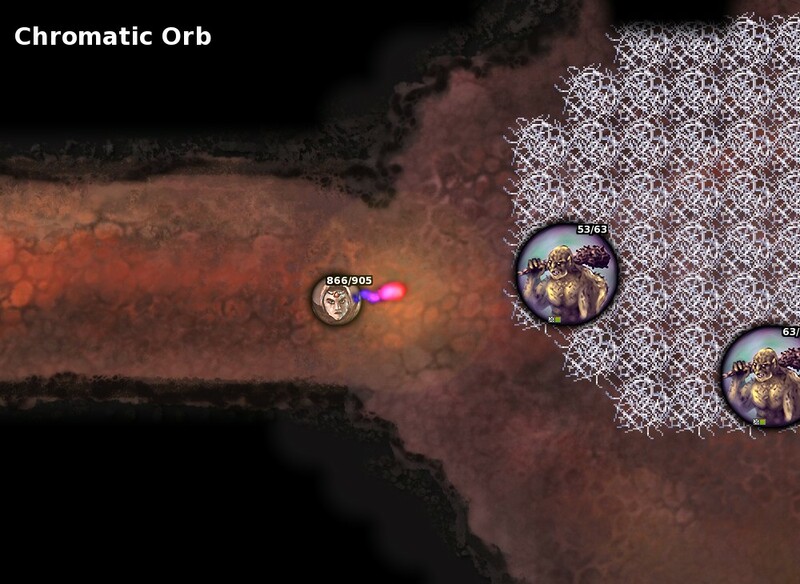 Even terrain effects will need to have their own initiative order. In effect, they will have to be treated as additional combatants in the initiative list, though this process will be invisible to the player. That's it for now! As you can see, much more needs to be done, but the game is taking shape slowly. Thanks for reading and please post some feedback! [Bard Perform] includes singing, playing instruments and telling stories. Requires a musical instrument in the inventory. [Bard Knowledge] includes knowledge of legends, heroes, famous warriors, artefacts. [Rogue Open Lock] includes lock picking and disarming. Requires thieves' tools in the inventory. Each level gained above 20 provides the character five extra Hit Points and one permanent ability-score bonus point selected by the player. In addition, an extra feat is awarded at level 21 and every three levels afterwards (such as 24, 27 and 30). Fighting with a weapon that you are not proficient with results in a penalty of -4 on attack rolls with that weapon. Unarmed fighting does not trigger attacks of opportunity. All creatures have the Simple Weapons proficiency. 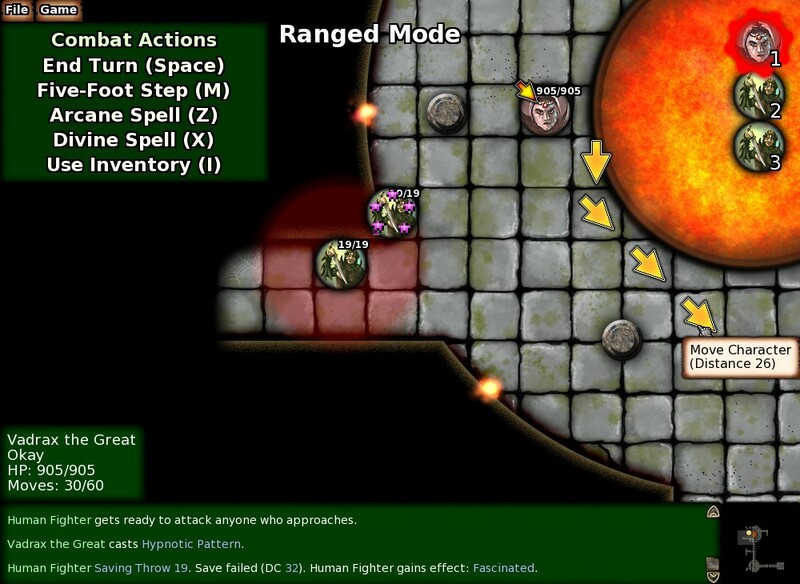 Creatures that have a natural weapon other than Fists also receive the Natural Weapons proficiency for free. Wizards and other casters are automatically proficient with touch attacks and touch attacks are not part of any weapon group. In addition to standard materials, weapons can be made in Silver, Cold Iron, Adamantine, Eternium and Crystal. Silver, Cold Iron and Adamantine weapons are used to bypass the Damage Reduction of monsters, while crystal weapons offer a +1 bonus to attack rolls and eternium weapons offer a bonus to damage rolls (+1 for light and one-handed weapons and +2 for two-handed weapons). 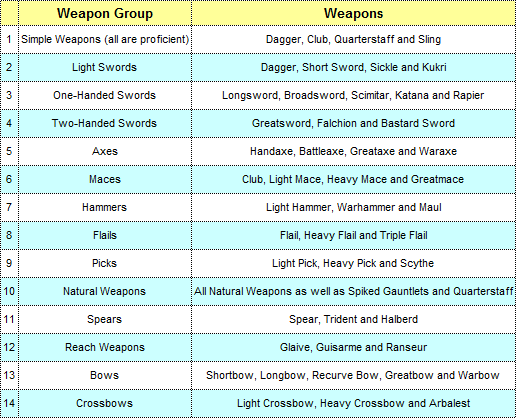 Silver weapons cost 1,000 more, while Cold Iron weapons cost 5,000 more, Adamantine weapons, 10,000 more, Crystal weapons, 20,000 more, light and one-handed Eternium weapons, 7,500 more, and two-handed Eternium weapons, 15,000 more. Enchantments cost an additional 2,000 gp per enchantment point on Cold Iron weapons, 1,000 gp per point on Adamantine weapons and armour, 425 gp per point on Silver weapons, 750 gp per point on Mithral armour, 2,500 gp per point on Eternium weapons and armour, and 3,000 gp per point on Crystal weapons. Damage rolls with Silver weapons are always reduced by one point. Weapons and armour made in a special material are always of masterwork quality. Reach Weapons: The base reach of a creature usually depends on the space the creature takes. Small and Medium sized creatures and Half-Giants occupy a single five-foot square and they have a base reach of five feet (one square). Large creatures occupy a ten-foot area (2x2 squares) and they have a base reach of ten feet (two squares). Huge creatures occupy a fifteen-foot area (3x3 squares) and they have a base reach of fifteen feet (three squares). Gargantuan creatures occupy a twenty-foot area (4x4 squares) and they have a base reach of twenty feet (four squares). Wielding a reach weapon as primary weapon increases the creature's reach by five feet for all of the creature's weapons, including natural weapons like a bite and extra claw attacks, and non-reach manufactured weapons. 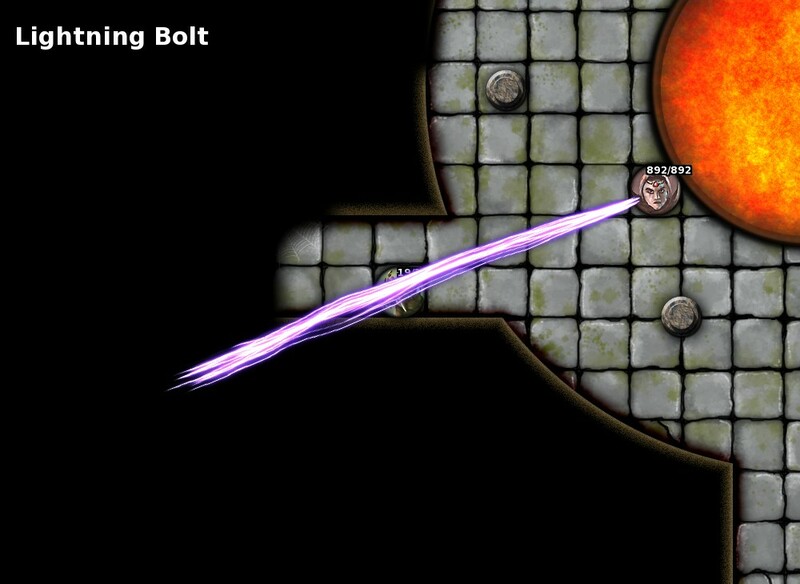 For example, if a Kobold wields a Glaive, his reach increases to ten feet (two squares) for both his Glaive attacks and Bite attacks. You can also combine reach and non-reach manufactured weapons using the feat Oversized Two-Weapon Fighting. All weapons held by the creature will then benefit from reach if the weapon held in the primary right-hand slot is a reach weapon. A large creature wielding a reach weapon benefits from an increase of one square in its reach. 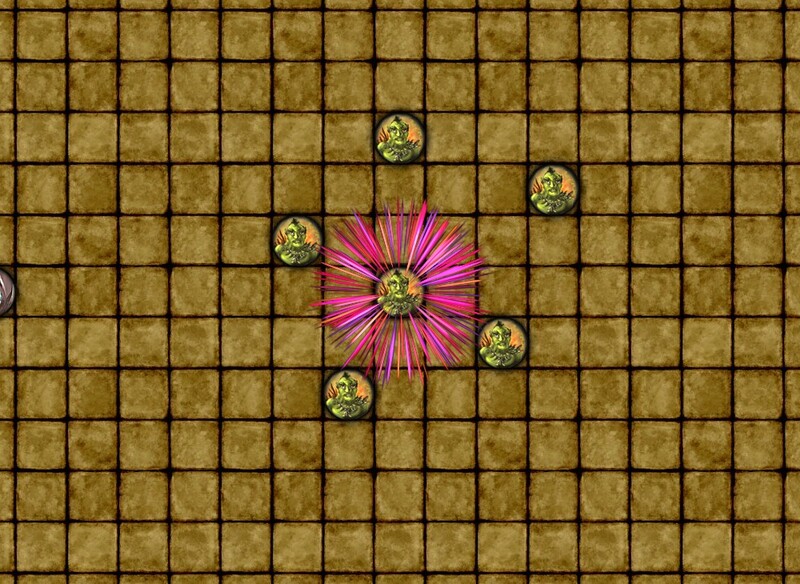 For example, a troll wielding a Glaive has a reach of three squares for both his Glaive attacks and Bite attacks. The reflex penalty applies to the reflex saving throw bonus and, when wearing armour without the correct proficiency, to attack rolls. Somatic spells can be cast with the shield hand if the shield is a Light Shield but not if it is a Heavy Shield or Tower Shield. Using a Tower Shield imposes a -2 penalty on the character's attack rolls, due to encumbrance. Voix off : "Vous devez remplir votre bourse avant d'aller plus loin"
Pour enchanter, forger armes ou armure, ou bien recharger une baguette, il sera nécessaire de faire appel à un NPC de classe Druid, Cleric, Sorcerer, Wizard, Warlock ou Psychic Healer. Recharging a wand requires the expenditure of one or two magic diamonds, depending on the level of the spell associated with the wand. - For a spell of level 1, you need a single Air Diamond. - For a spell of level 2, you need a single Water Diamond. - For a spell of level 3, you need a single Earth Diamond. - For a spell of level 4, you need a single Fire Diamond. - For a spell of level 5, you need a single Star Diamond. - For a spell of level 6, you need one Star Diamond and one Air Diamond. - For a spell of level 7, you need one Star Diamond and one Water Diamond. - For a spell of level 8, you need one Star Diamond and one Earth Diamond. - For a spell of level 9, you need one Star Diamond and one Fire Diamond. Drinker, price 5: On a successful hit, the wielder gains 1d6 temporary HP that are drained from the target. Only for slashing melee weapons. Force, price 4: Whenever you deal a critical hit, you deal a number of points of force damage equal to four times the weapon’s basic damage (e.g. 4d8 for a longsword). Brilliant Energy, price 4: Not for ranged weapons. Your weapon ignores all armour and shield AC bonuses, and you can still damage the undead and constructs. Weakening, price 4: Upon hitting, reduces the target's Strength by one point (up to one). This is an ability drain which can be removed with a few spells, including Greater Restoration. Hindering, price 4: Upon hitting, reduces the target's Dexterity by one point (up to one). This is an ability drain which can be removed with a few spells, including Greater Restoration. Dispelling, price 3: Upon hitting, casts Greater Dispel on the magic effect of highest caster level existing on the target. The wielder's character level is used for this check. Knockback, price 2: Only for ranged weapons. Upon hitting, the victim must succeed on a Strength check of DC 14 or be pushed back along the projectile's trajectory by one square. The creature is only pushed back if the target square is empty. Giant Sized, price +2: The weapon deals base damage as if it was one category larger, without penalty to the wielder. For example, a Giant Sized Greatsword would deal 3d6 points of base damage, rather than 2d6. Sickening, price +2: Upon hitting, forces a Fortitude saving throw of DC 14. Failure means the victim is sickened for 1d4 rounds. Exit Wound, price +2: Only for ranged weapons. Whenever a second creature can be found along the line of trajectory of your ranged attack, past the target creature, then your ranged attacks have the potential to affect both the target and the second creature. There will be a separate attack roll for each creature. The second creature will benefit from a soft cover bonus from the first creature. Valorous, price 2: Your weapon’s base damage is doubled on a successful attack conducted as part of a charge. For example, a longsword would deal an extra 1d8 points of damage. Only for melee weapons. Flaming Splash, price 2: Only for ranged weapons. 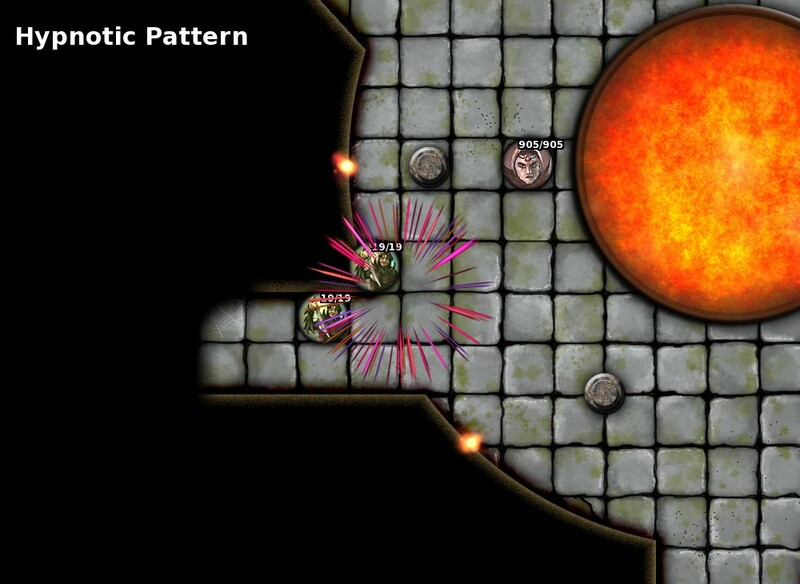 On a successful hit, the projectile deals 2d4 fire damage to the target and all adjacent creatures. Can’t be combined with other elemental effects except Flaming and Flaming Burst. Icy Splash, price 2: Only for ranged weapons. 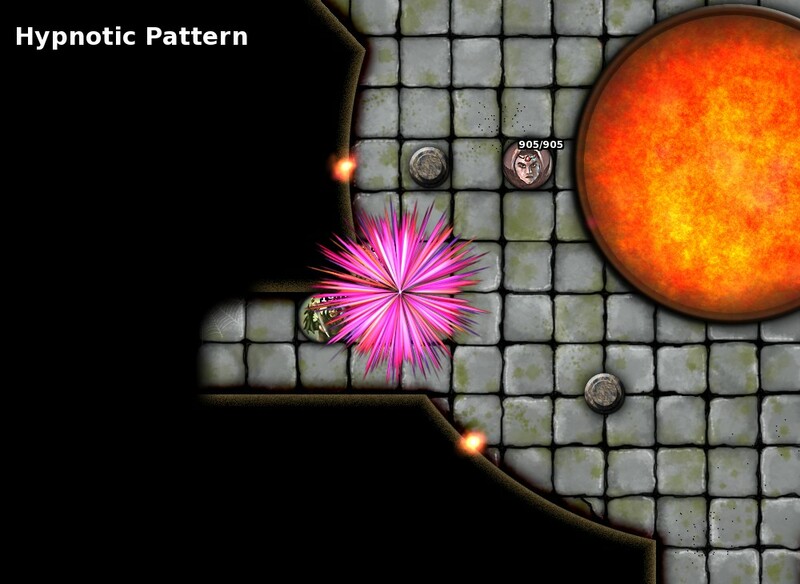 On a successful hit, the projectile deals 2d4 cold damage to the target and all adjacent creatures. Can’t be combined with other elemental effects except Frost and Icy Burst. Shocking Splash, price 2: Only for ranged weapons. 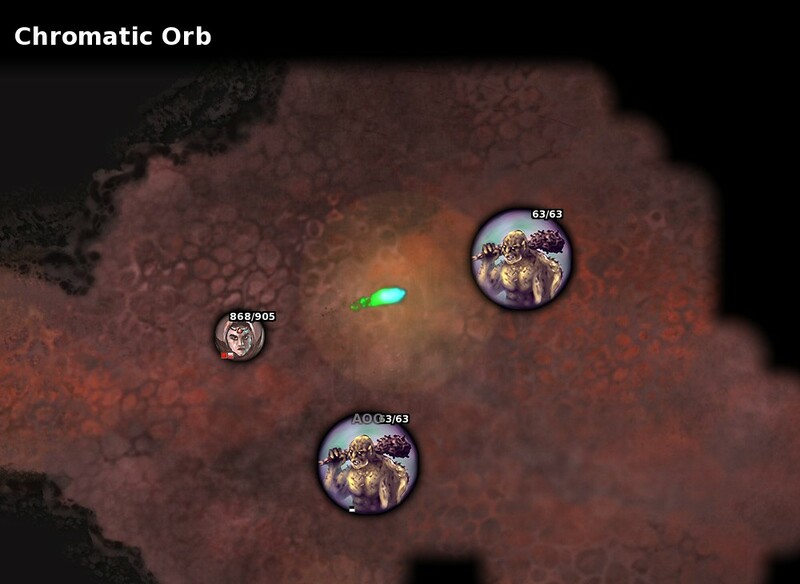 On a successful hit, the projectile deals 2d4 electricity damage to the target and all adjacent creatures. Can’t be combined with other elemental effects except Shocking and Shocking Burst. Acidic Splash, price 2: Only for ranged weapons. 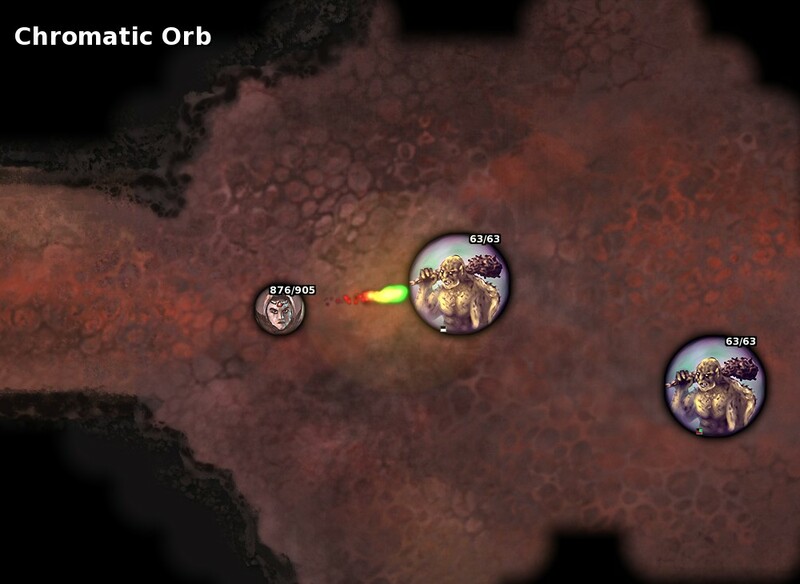 On a successful hit, the projectile deals 2d4 acid damage to the target and all adjacent creatures. Can’t be combined with other elemental effects except Acidic and Acidic Burst. Shattermantle, price 1: On a successful hit, the weapon reduces the target's Spell Resistance by two points for a single round. The effect is cumulative. Bravery, price 3: Only for armour. All allies in a 10' radius (including the wearer) gain a morale bonus of +1 to attack rolls. Greater Bravery, price 5: Only for armour. All allies in a 10' radius (including the wearer) gain a morale bonus of +2 to attack rolls. Fire Defence, price 3: Opponents hitting the character in melee take 1d4 fire damage. Can't be combined with other elemental damage. Only for armour. Greater Fire Defence, price 5: Opponents hitting the character in melee take 1d6 fire damage + 1 per two character levels. Can't be combined with other elemental damage. Only for armour. Cold Defence, price 3: Opponents hitting the character in melee take 1d4 cold. Can't be combined with other elemental damage. Only for armour. Greater Cold Defence, price 5: Opponents hitting the character in melee take 1d6 cold damage + 1 per two character levels. Can't be combined with other elemental damage. Only for armour. Electricity Defence, price 3: Opponents hitting the character in melee take 1d4 electricity damage. Can't be combined with other elemental damage. Only for armour. Greater Electricity Defence, price 5: Opponents hitting the character in melee take 1d6 electricity damage + 1 per two character levels. Can't be combined with other elemental damage. Only for armour. Acid Defence, price 3: Opponents hitting the character in melee take 1d4 acid damage. Can't be combined with other elemental damage. Only for armour. Greater Acid Defence, price 5: Opponents hitting the character in melee take 1d6 acid damage + 1 per two character levels. Can't be combined with other elemental damage. Only for armour. Spiked, price 2: Only for armour. Grappling opponents take 1d6 piercing damage per round. This damage automatically bypasses all Damage Reduction. On est d'accord targus mais Abou a le sens du détail et puis traduire, dans la mesure où le jeu sera en anglais, est-ce que ça présente un intérêt ? Plus simple, certainement Targus, plus clair, également. Mais pour ceux qui connaisse le projet, c'est aussi inutile que mon post marathonien, puisque nous le savons déjà. Alors, coller juste 12 ou 13 ligne de liens, ce n'est pas plus explicatif, ni même invatitif que de donner le tout clairement. L'expérience du net prouve qu'un post trop long est chiant, et des post avec de trop nombreux hyperlink sont souvent ignorées.Alors on fait comment pour présenter les règles de bases/avancées? Toutes ces nouvelles races, classes... La phase de création des perso' promet d'être débridée. Oui, le but premier est de faire connaître le projet. Proposer une longue litanie de liens serait contre-productif. Je viens de voir qu'on pouvait associer RPG et Boulder Dash (jeu où j'ai passé de très nombreuses heures, il y a ..... longtemps, faudrait que je le retrouve pour mettre sur le portable....). C'est du tactique genre icewindale ou blacksguards, ou rpg ? Cela n'a rien de commun avec Icewind Dale. ID se base sur ADD2è, KOTC sur DD3.5; ID est en temps réel et KOTC est en tour par tour. Je pense que c'est important d'insister sur ce point, l'intérêt premier de KOTC c'est les combats (comme les ID me diras-tu) . Combats tactiques, exigeants, diaboliques; l'IA est vicelarde, sournoise, fourbe et devrait être améliorée dans KOTC 2. Si ça t'intéresse, une démo du premier est disponible sur le site du développeur. C'est un jeu de combats tactiques et sur ce point il est comparable à Blackguards, mais les règles de D&D 3.5 s'appliqueront à KOTC 2, ce qui n'est pas le cas pour Blackguards. Et une petite vidéo de gameplay pour KotC 2. C'est quand même marrant ce changement de style, assez radical d'ailleurs comparé au 1 qui avait un ptit côté Ultima VII que je préfère d'ailleurs. La en fait dans celui la ça fait beaucoup plus simpliste, voir un ptit côté jeu de plateau, pions etc, alors pour le coup on a du mal a croire que c'est une "suite", mais en le prenant à part, ça semble quand même pas mal. J'avoue que le changement m'avait initialement laissé perplexe, mais voyant cette phase de gameplay, subodorant les améliorations qui arriveront sans aucun doute, je dois dire que tout scepticisme s'est envolé. Les combats gagnent en clarté. Mais oui, c'est toujours moche. M'en fous. Je pense que c'est lié à la résolution. Il est vrai que la partie explo' a l'air minimale. Je vais fouiner sur le forum d'heroic fantasy games. Première recherche, résultat : il va inclure des "romances". 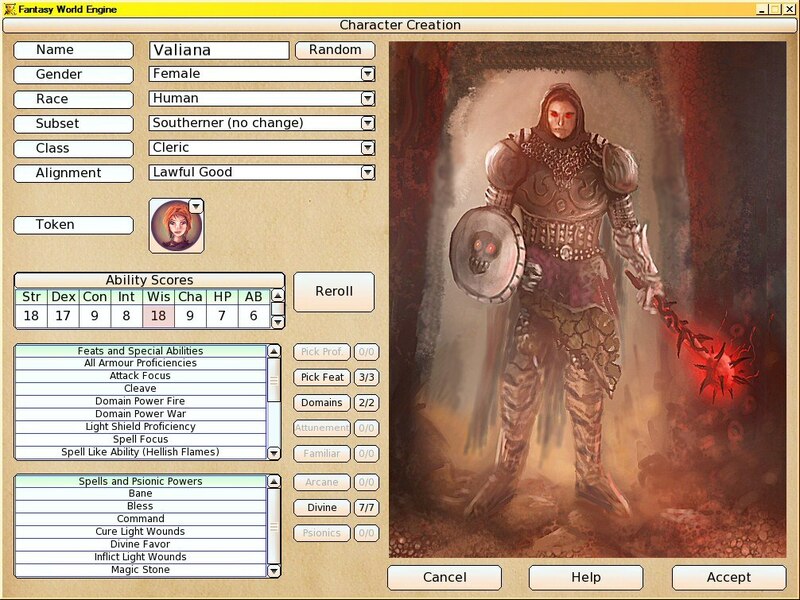 Romances between the main character and an NPC seem quite popular in CRPGs like Baldur's Gate 2, so I wanted the game to support that. For it to work, there has to be a main character. However, party-based games do not have a permanent main character. So I've decided that one of the characters created by the player will be the player's avatar, the main character. 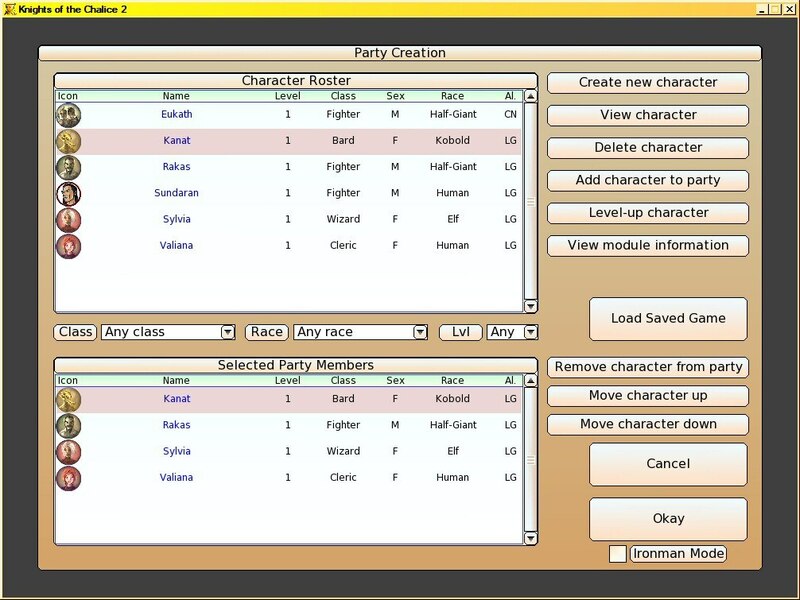 It is selected in the party-creation screen and cannot be changed afterwards. This way, whenever NPCs say something personal, it is intended to be addressed to the avatar character. Romance dialogue scripts will have to check that the avatar character is not dead, though." 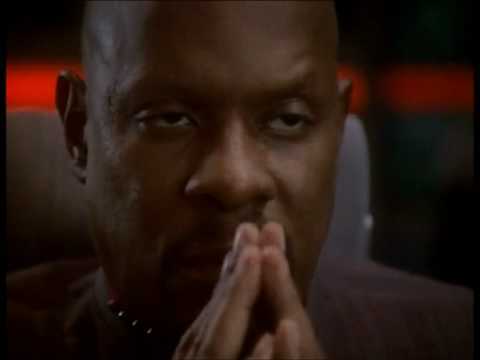 PS : Bien que j'aie acheté KotC je suis tout à fait incapable de voir certaines updates... Camarades, camarades, aidez-moi. Edit : Image de la carte du monde. La 1ere update de l'an 2017 pour ce projet de fou. Avec en toute fin, une info toute croustillante qui sent bon l'Incline. 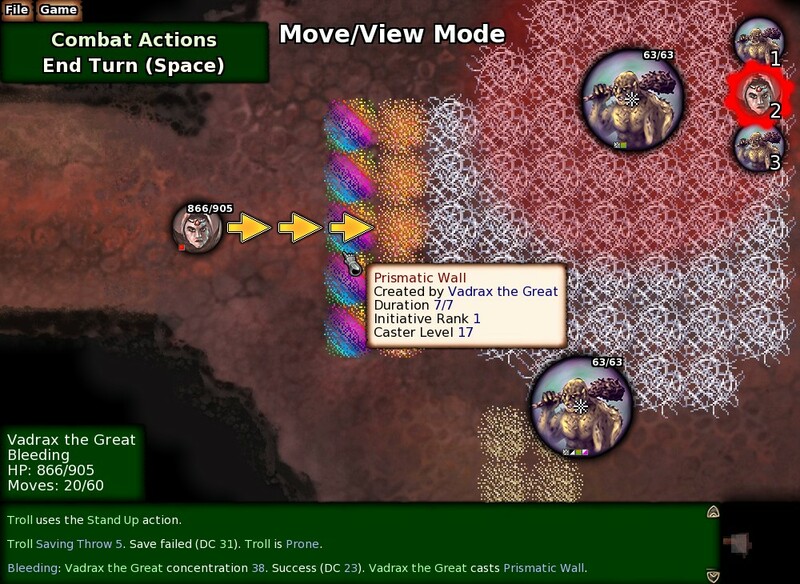 All the combat maneuvres, such as Trip, Disarm and Sunder, have been implemented (except Distract, which I may leave aside completely), as described in the page about feats. With the right feats, they can be performed as a free action when taking an attack of opportunity. Enemies can do that too, of course. So, for example, you can use Trip as an AOO, just like the original rules of D&D 3.5 allow. 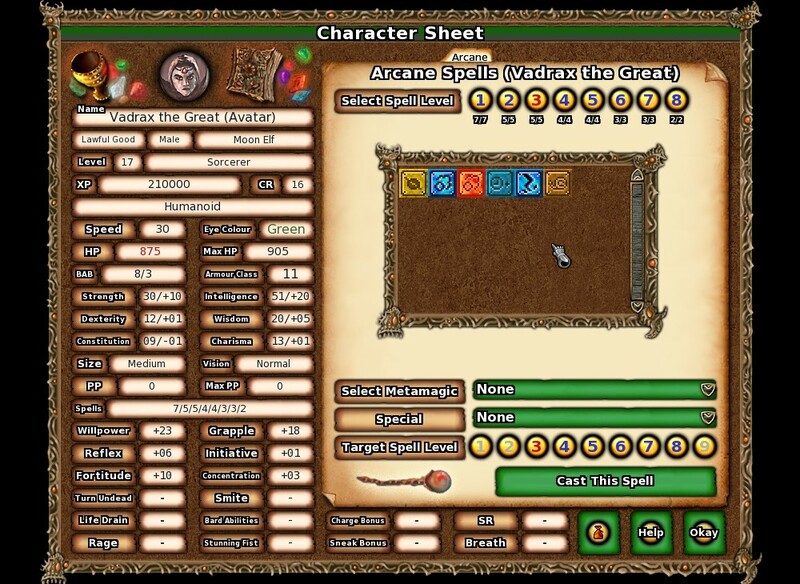 You choose the action to take during AOOs in the character's Spec screen (Specifications). 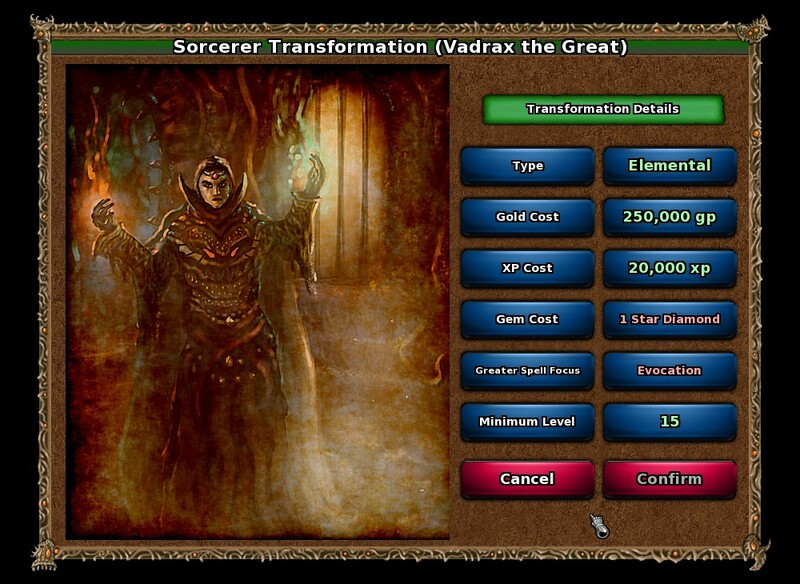 From that screen, you can also access a new screen which I have created for the wizard/sorcerer transformation (see screenshot). It's a simple screen showing whether you meet the requirements or not. 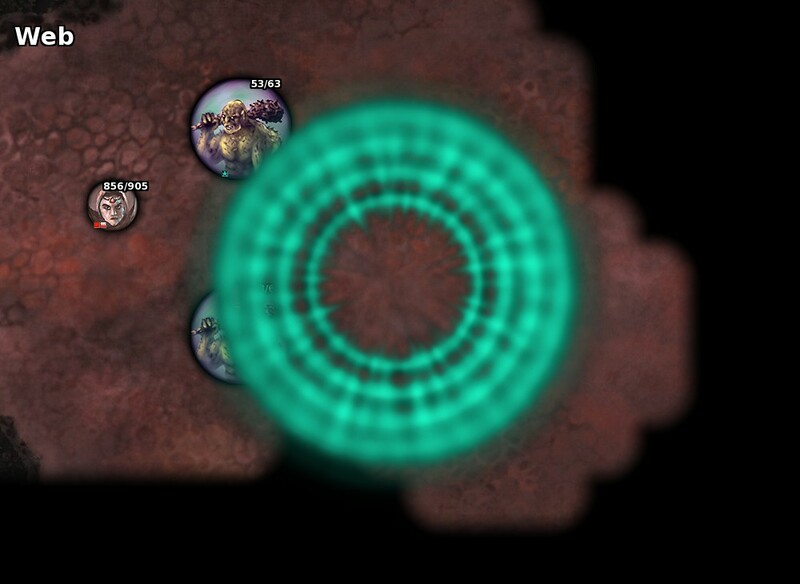 In the spell editor, I've implemented a previewer allowing to preview the graphical effects of the spell you are editing. Basically the previewer launches an empty module and executes a script that casts the spell currently being edited, and then it returns to the spell editor. See the first picture below, that's the previewer. In the module editor and the game, I have implemented shortcut keys to toggle between the editor and the game easily. If you use the key during the game, it makes a quick save and then opens the editor at the position that you were at in the game. If you use the key in the editor, it loads the quick save and launches the game from the saved position. 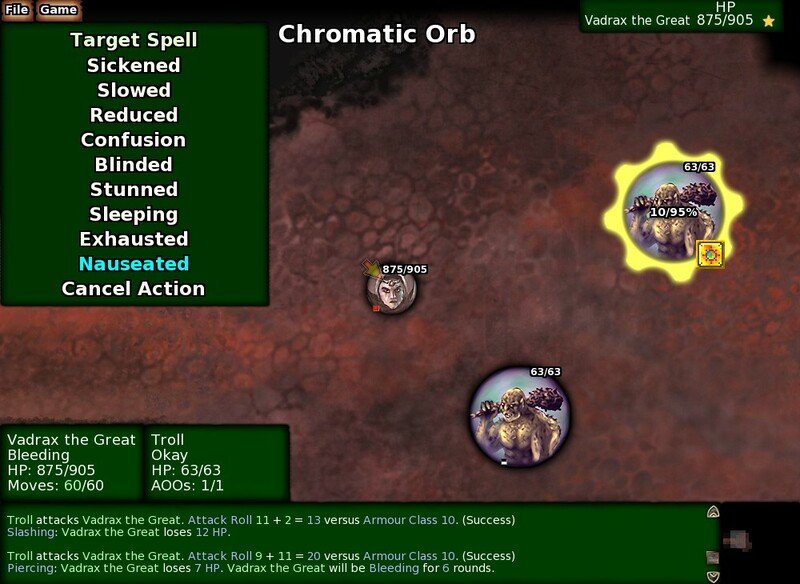 Aside from these things, I have mostly been working on the implementation of spells. 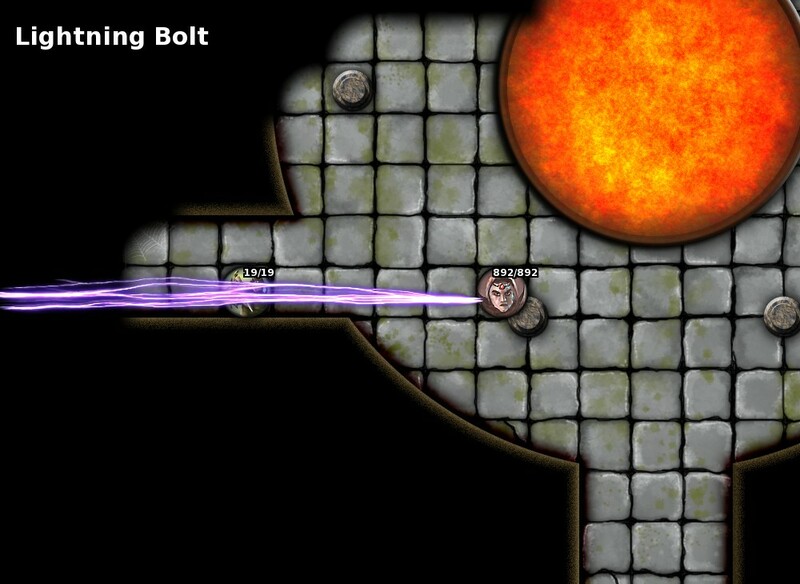 I have also re-introduced spell icons using a style similar to that of KotC 1 spell icons. 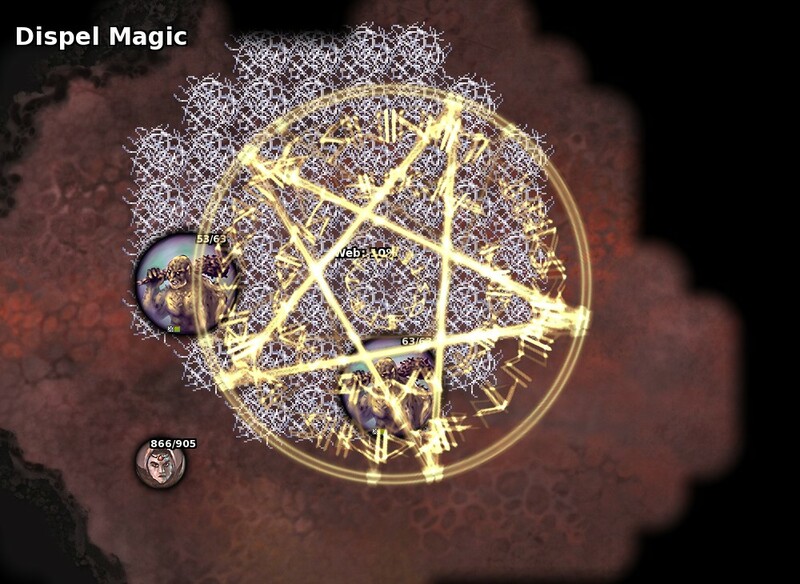 In the game settings, you can now choose how to display spells in the spell book: with text or icons. 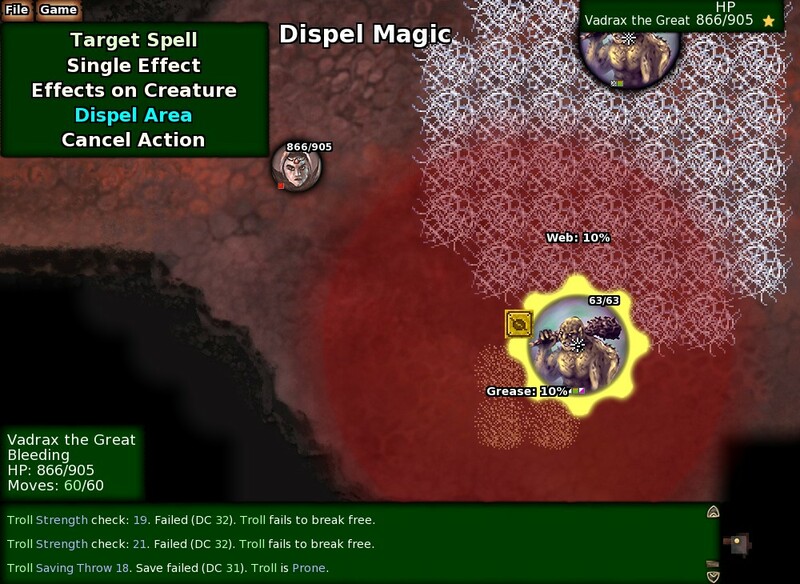 I've been focusing on some of the most complicated spells, including Dispel Magic and Grease. The spells that I have implemented are Burning Hands, Chromatic Orb, Grease, Sleep, Hypnotic Pattern, Web, Dispel Magic, Electric Sphere, Fireball, Haste, Lightning Bolt, Slow, Energy Wall and Prismatic Wall. Prismatic Wall is complicated due to the variety of effects, while Energy Wall is complicated because it allows to select the type of energy of the wall. 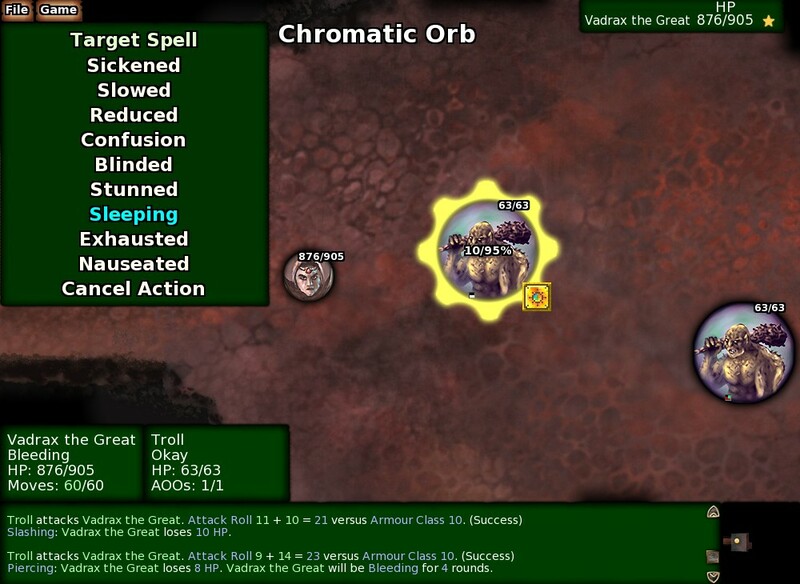 Chromatic Orb has a variety of effects and, with the feat Orb Master, the player character can select the effect. See the Wizard's page for details about spells. Grease is very complicated in its effects because, potentially, several creatures may be falling down and sliding over several squares. 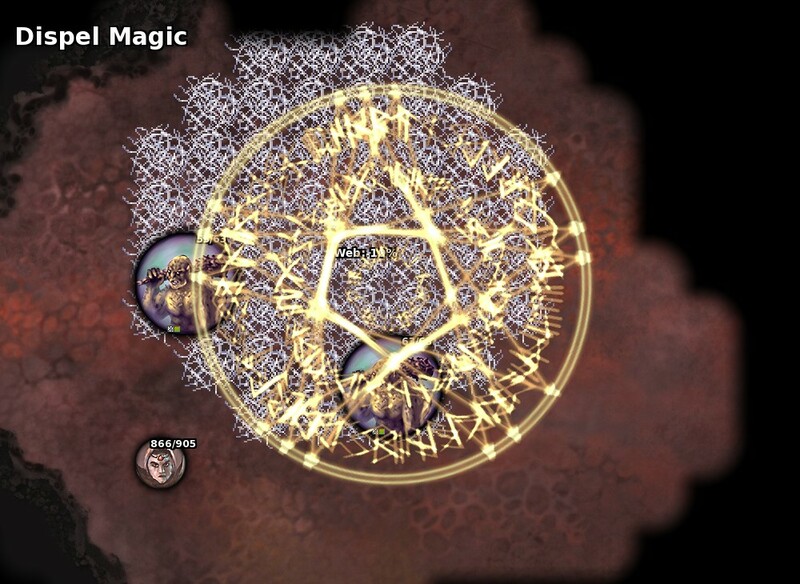 Anyway, it's implemented and I think it will be a really fun spell to use, especially with 'Widen' metamagic. 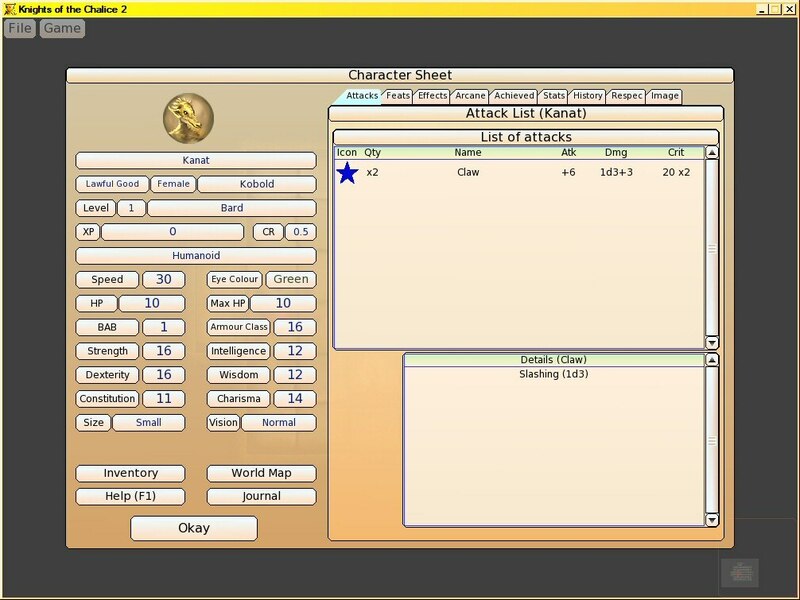 The first screenshot below shows some spell icons of level-3 spells. 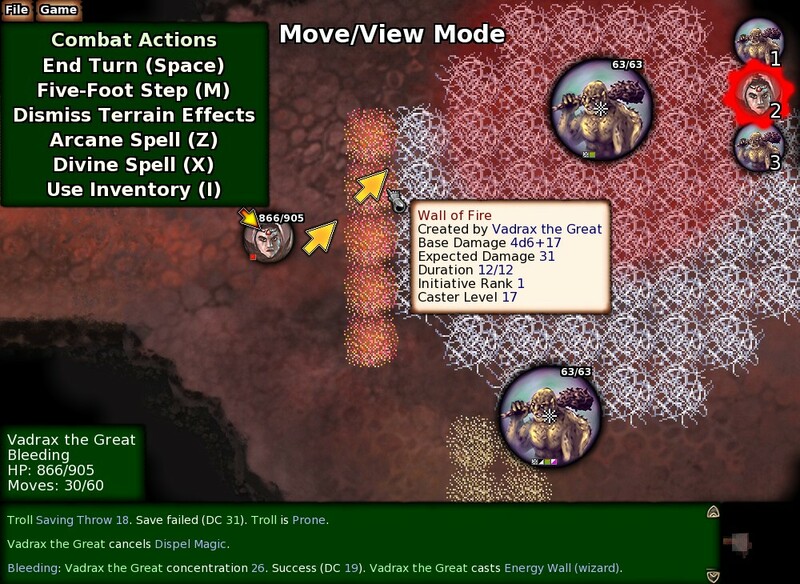 The second screenshot shows an Energy Wall dealing cold energy damage. A creature continues to fall as long as there are adjacent squares of lower altitude. The damage taken at each step depends on the height. A creature falling from the top of a stairway (for example after getting bull-rushed or failing on a reflex saving throw while balancing) would end up at the bottom. Here's a bit of implementation detail about how it's done: first the game assigns a 'falling' condition to all affected creatures. Then for each falling creature, the game looks whether there's an adjacent square of lower altitude. 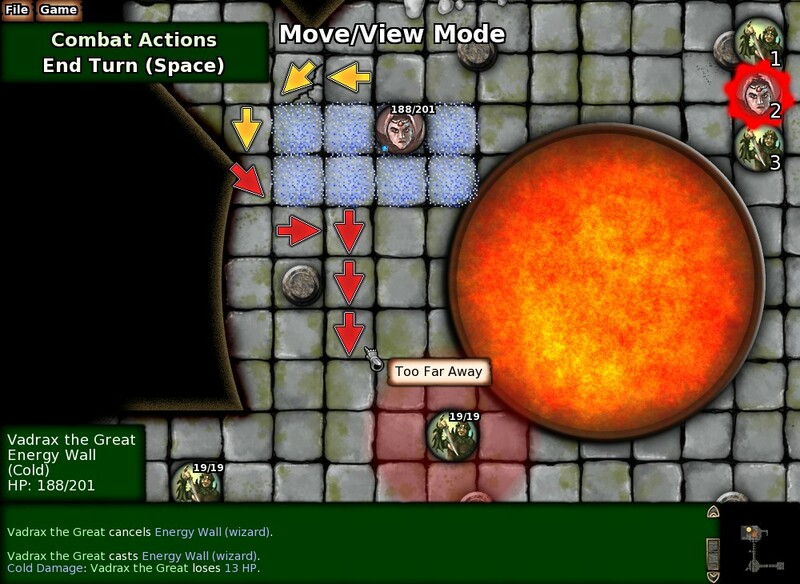 If yes, the game executes a script that pushes the creature onto that square, then checks whether there are any special square effects to apply to the creature, such as the damage from a Wall of Fire. This process is then repeated until no more squares of lower altitude can be found. Grease and Web are also complicated because their effects can be destroyed using any Fire spell. 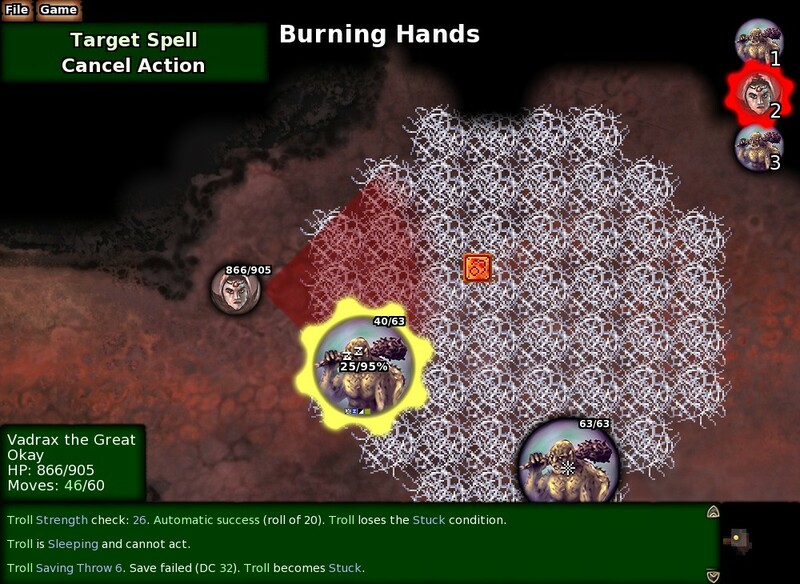 In KotC 1, I simply destroyed the web squares that were directly in the area of effect of the fire spell. In KotC 2, I wanted the fire effect to destroy the whole web or grease area. So in order to do this, at the end of the execution of any fire spell, the game makes a list of all the web and grease areas that will be affected. 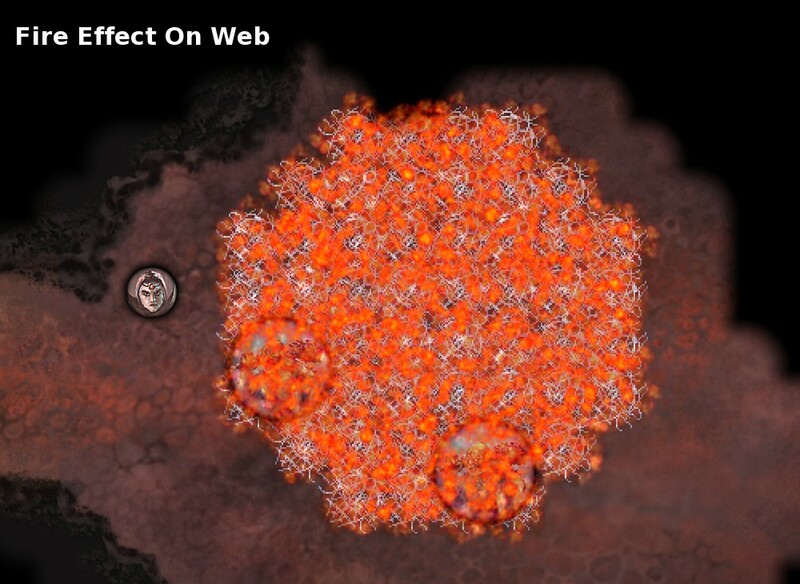 Then for each affected web or grease area, the game executes a script that casts a spell called 'Fire effect on Web' or 'Fire effect on Grease'. 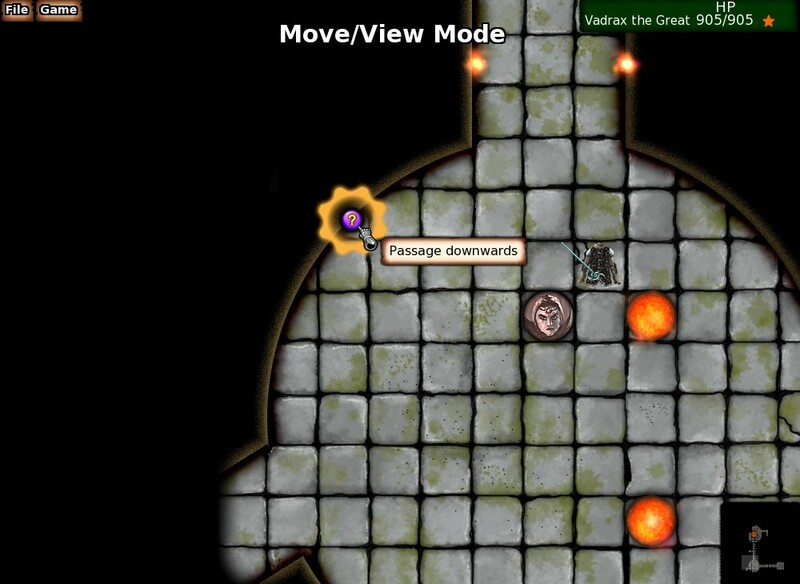 That spell removes the web or grease area and deals fire damage to creatures in the area. This sequence can be seen in the three screenshots below. Dispel Magic is a really complicated spell because it can be cast in three different ways: on a single effect, on a single creature, or on an area. 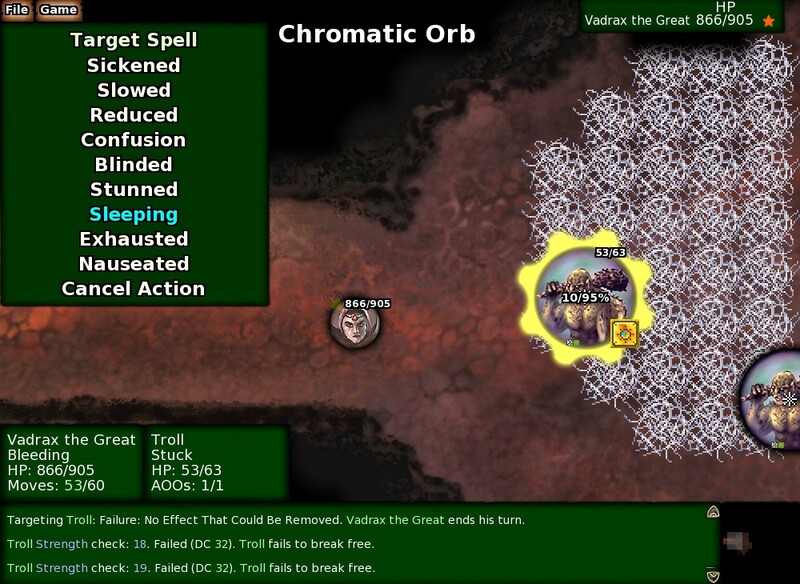 When using the first version, you first click on a creature, and then from the list in the top-left corner of the screen, you click on a particular magic effect currently running on that creature. For each possible effect in the list, the probability of success of Dispel is given. It depends on the caster level of each effect, meaning the level of the caster who created the effect. When using the second version of Dispel, you just click on a creature and the game will try to dispel each effect currently running on the creature. 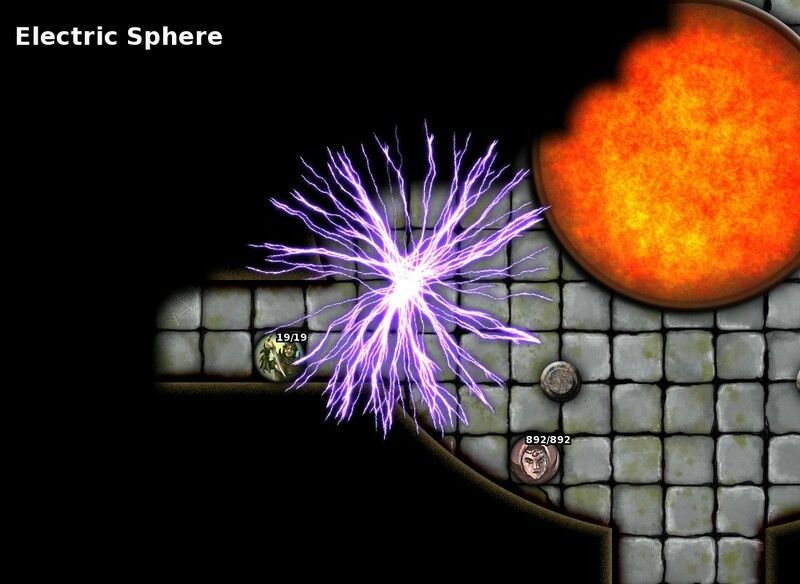 When using the third version, you target the spell just like you would target a Fireball spell. The probability of success is provided, for example, the game will say 'Web: 30%' if the probability to succeed on the dispel check to remove a web is only 30%. 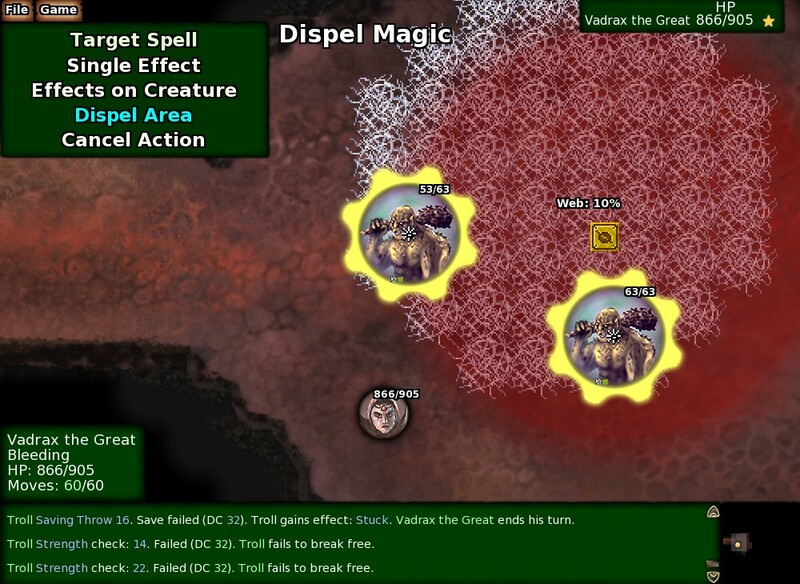 When you launch the spell, the game tries to dispel terrain effects as well as one magic effect from each creature in the area of effect. 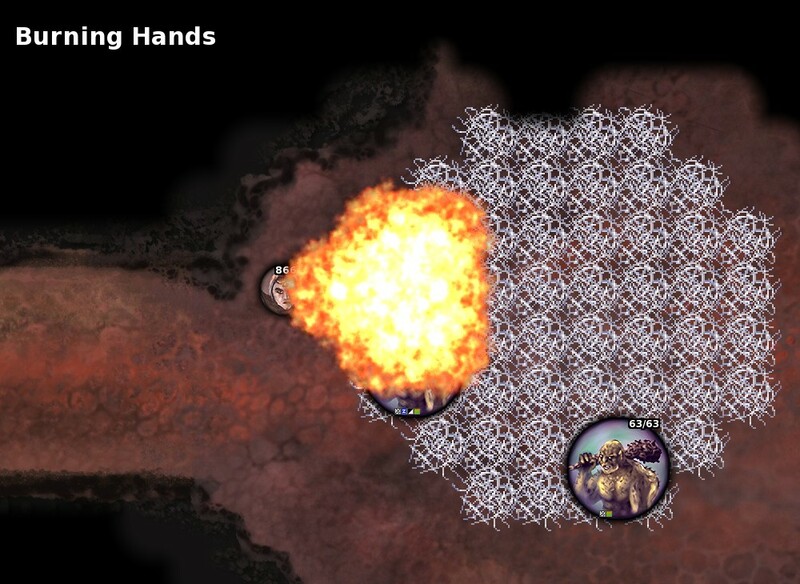 Another option to remove terrain effects is to use the combat action 'Dismiss Terrain Effects', which I have implemented. When selected, as a free action, it automatically removes all terrain effects that were created by the acting player character. It does not affect terrain effects created by the enemy, of course. What's next in the development of KotC 2? Spells, spells, spells and more spells. Oh, and a lot of bug fixing. 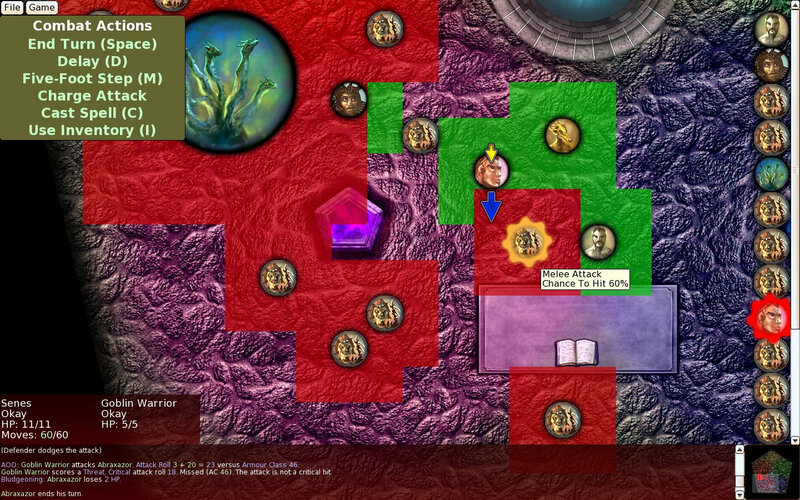 And then the spell-casting AI. Scripted AI. Bug fixing! 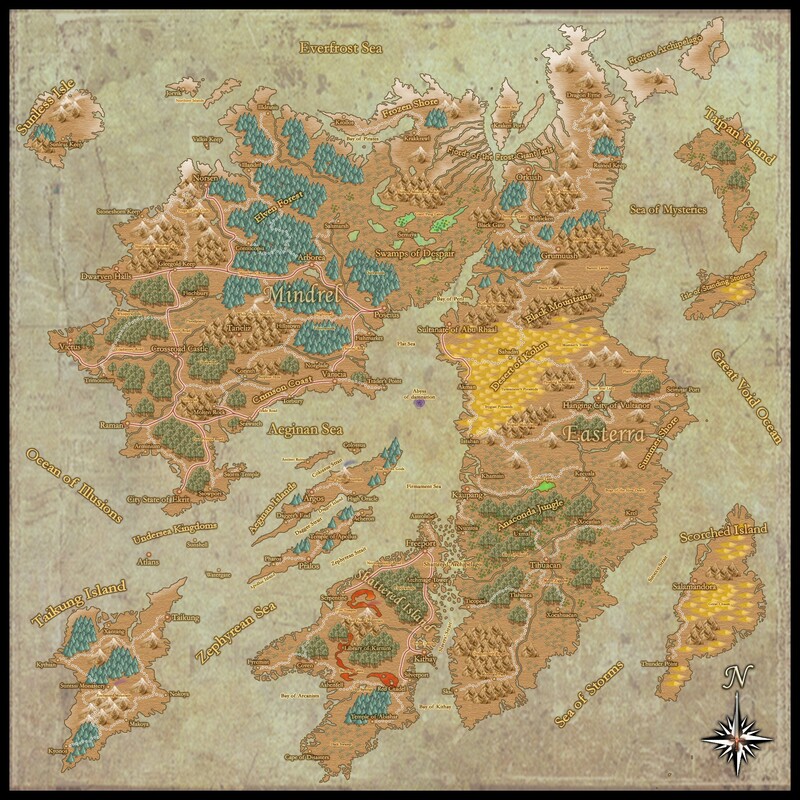 New background maps to be created by Roman. 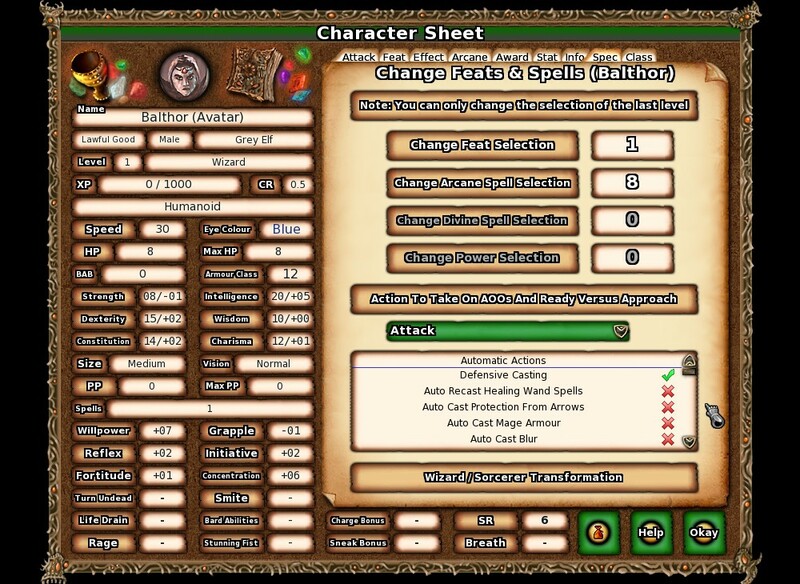 Class powers, monster powers, magic items, weapon enchantments, help information entries... Lots of Bug Fixing! ...and then, just maybe, who knows, finally some adventure creation!! I made my first purchase on Steam the other day! I got the 'World of Decadence' package, which includes Age of Decadence and Dungeon Rats. I've had no time to play them so far, though. Also had a look at Pillars of Eternity, but the amount of disk space needed for that game just seems crazy to me, 25 GB. In French we may call this 'une usine à gaz' (a needlessly complicated system). Thank you for reading, best wishes!! Et ce n'est qu'un panel des multiples fourberies qui n'attendent que de voir le jour.